Our single use N95 Respirator has a 95% filter efficiency level. It is effective against particulate aerosols free of oil; time use restrictions may apply. 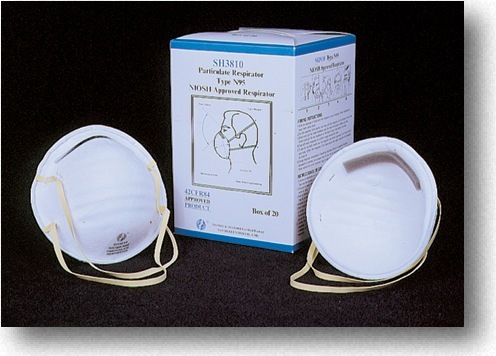 These lightweight, contour fit respirators are maintenance free, have 2 elastic straps for a comfortable and efficient fit, and allow easy breathing and speaking while in use. Packaged 20 per box (12 boxes per case).